And today I would like to talk to you about some of the different aspect of my life that have been changing over the past few weeks/months. Recently I have been contemplating a lot of different changes, such as changes with my passions, commitments, and future goals. While it is always interesting to reflect on these changes, it is also stressful, however, what about life isn't? It could easily be said that I am growing up, maturing, and hell, a lot of other different phrases that elude me right now, however meh. I am still happy just being my silly normal self that has a passion for renewable living, odd hobbies, and video games. So with that I want to share with you a concept or two of change. First and foremost I want to reassess this blog into a hub for my video game videos and the likes, and less of my odd self-reflective posts from my experiences meditating. 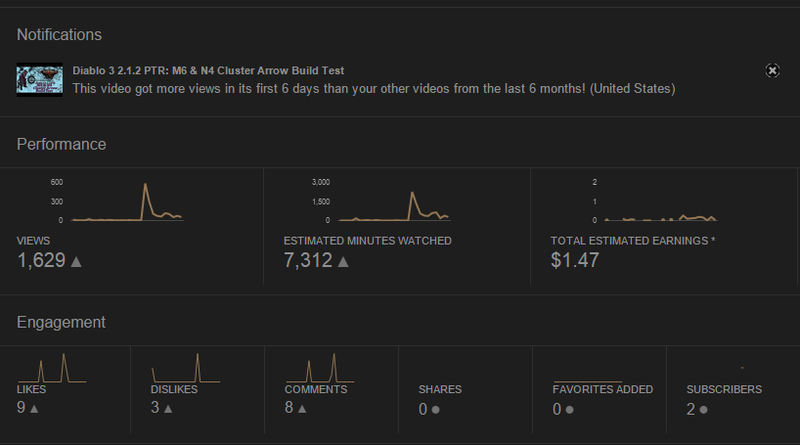 So enjoy a quick picture that I snagged off of my RobustEnigma channel analytics on YouTube.